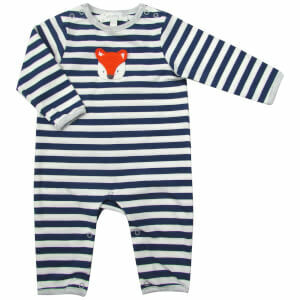 The Crochet Bulldog Babygrow by luxury brand Albetta will make a gorgeous gift for a newborn baby. The adorable red and grey striped babygrow is detailed with a cute hand-crocheted bulldog design and edged with grey at the neckline and cuffs. Crafted from 100% finest cotton, the ethically-produced babygrow is presented in a raffia gift envelope and will make a thoughtful gift for a baby shower or Christening.